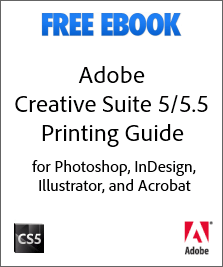 This very handy tome will tell you everything you ever need or wanted to know about getting great print results with your projects in Photoshop CS6 (including Extended), Illustrator CS6, InDesign CS6, and brand new Acrobat XI Pro. 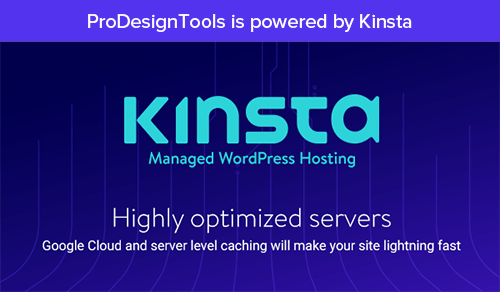 All the different tools, setups, settings, options, functions, and formats – what they mean and how to best use them to achieve your goals. 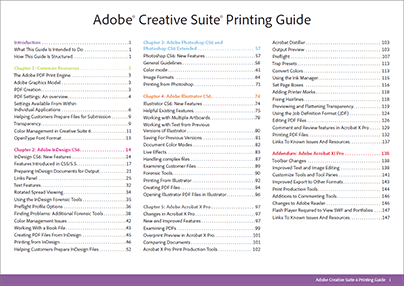 Because some technologies and concepts – such as PDF creation, transparency, and the Graphics Model – are common across all Adobe products used for print design and production, the first chapter of a dozen pages is devoted solely to explaining common terminology and back­ground resources. And with the groundwork laid, the rest goes into comprehensive detail on things you probably have wanted to know at some point but were afraid to ask or didn’t know where. 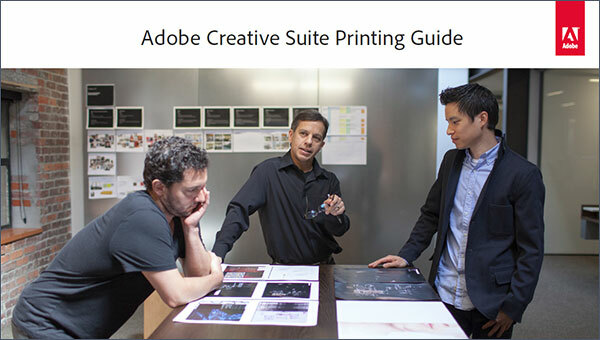 So now, whether you print from Photoshop, InDesign, Illustrator, or Acrobat, this ebook explains all you need to know about successful printing and best practices in output generation. And luckily, the price is right! 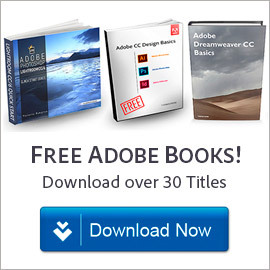 And to continue learning, don’t miss dozens more free Adobe books for many popular products, covering recent versions of all major applications (CC, CS4–CS6, Photoshop, Illustrator, InDesign, Dreamweaver, Flash, Acrobat, Premiere, After Effects, Audition, Lightroom, Elements, and more). I really appreciate your printing guide, it really helped me now. Useful guide. Hope it’ll be beneficial for me and my friends… Thanks for sharing this guide. Thanks for this guide. Keep up the good work. Excellent topic. Thanks for the tips. Shared these Adobe printing guides with some of our clients. We would like to say a big thank you. 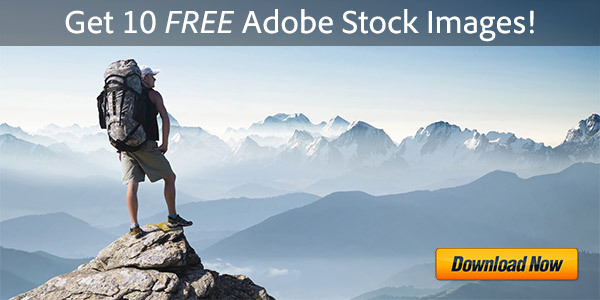 I am looking to either try one of your CS3 or CS4 packages. I understand it’s a 30-day trial. What do I do if I like the product and want to keep it? I apologize for seeming obvious, but I could not find information on your site about that, and I’m not interested in the CC at this time. 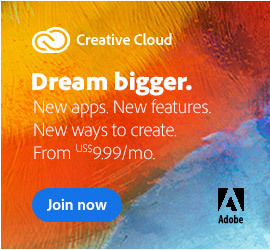 CS3 and CS4 are old and no longer sold… Adobe now offers only last year’s CS6 version (with traditional licensing) and the new CC version (which is subscription-based) – so we suggest going with one of those. I am from Lahore-Pakistan. Assistant Manager Nisar Art Press. This is the best platform to get information regarding Print and Graphic Arts. You can learn fast and up-to-date theory for your knowledge, which can solve out problems. Looks to be pretty good! Will this help with Lightroom as well? Hey there Phil… Yes, it’s great – and to answer your question, it covers Photoshop and not Lightroom. I thought maybe they used the same module, thanks! Sure, that’s completely understandable and a good question. But in fact, Photoshop and Lightroom are separate in this regard, even if they share a large common customer base. 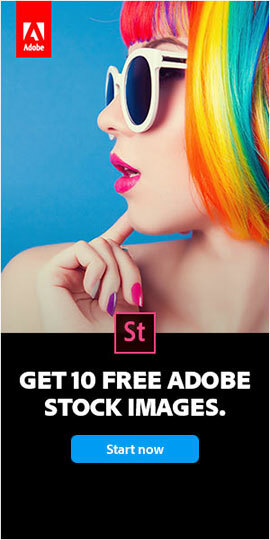 If you want to download a free trial to try it out first then we do also have the direct links for CS6 as well.